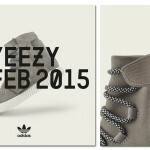 The adidas Yeezy 750 Boost is set to release this Saturday, February 14th at select New York City Foot Locker locations. 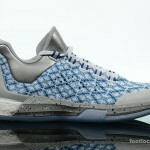 See below for details on how you can reserve this shoe. • Download by visiting the Apple App Store or Google Play and install the app, registering with name, email, and zip code. • Enable push notifications and location services on device. • Receive push notification that will communicate when reservations are available in designated geographical zones. 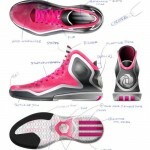 • Reserve a pair of shoes by selecting size and confirming selection. 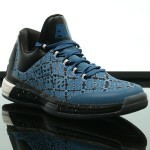 • Find out where and when to pick shoes up for purchase. • Arrive at designated store during their designated window of time. • Present app’s reservation confirmation to a store associate and complete purchase. 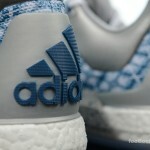 The adi Pure Boost “Monochrome City Blur” should look familiar to some. 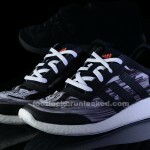 It is the greyscaled version of a Pure Boost we wrote about a couple weeks ago, appropriately named the “City Blur.” Sitting atop the uber comfortable white Boost midsole, the “Monochrome City Blur” upper contains an abstract black and white graphic of traffic moving through a city. Black branding and overlays help to calm the busy nature of the graphic while bright red accenting on the outsole and tongue gives the kicks some color. 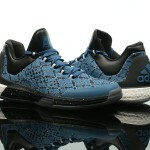 The pair is available in stores now and online at Footlocker.com for $ 120. 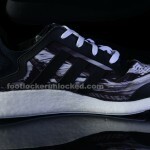 Trust us, the adidas Pure Boost is one of the most comfortable shoes you could possibly lace up on your feet. 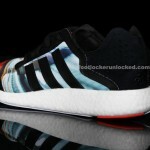 Adidas’ Pure boost technology midsole provides unmatched comfort for your feet whether you’re relaxing in them or going on a full run. 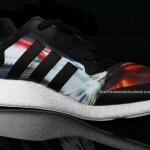 Now, much like we’ve seen adidas do with the ZX Flux, we’re seeing a print on the Pure Boost. 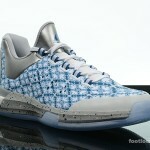 The “City Blur” features an upper with an abstract design that is indicative of a city street as cars roll by. 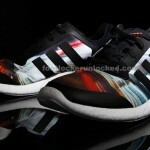 The pair features a wide array of color some bright and some dark that give the Pure Boost a much more elevated design than we’ve seen on previous models. Of course, the comfort of the Boost stays the same. 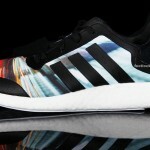 The adidas Pure Boost retails for $ 120 and the “City Blur” model is in stores now. 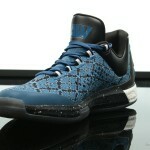 Check the Launch Locator to see which stores have this release. 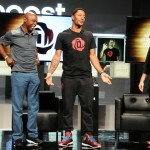 Foot Locker Unlocked got the chance to sit down with all-star point guard Derrick Rose at the adidas Basketball Boost Launch Event in Las Vegas on Sunday. 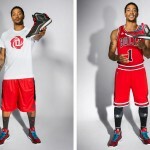 We discussed everything his new D Rose 5, to Bulls free agency and more. Check out the interview below. UNLOCKED: It must be a surreal feeling sitting here about to launch your fifth signature shoe with adidas, how does that feel? ROSE: I’m in the MGM man, I’ve never been here before (laughs). Growing up it was something I never thought of, being able to have my own shoe, so to be able to sitting here now to launch my fifth is truly a blessing. 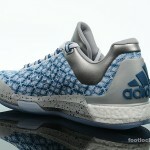 UNLOCKED: What’s the best part of working with adidas? 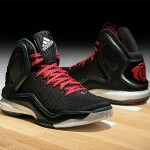 ROSE: I love the fact that they are never satisfied. They are always trying to do something different and bring new things to the table. 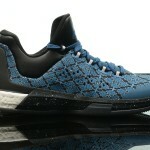 UNLOCKED: You mentioned earlier that this was your favorite signature shoe yet. Why? ROSE: You might here me say that every time I have a new shoe out (laughs) but it’s only because I know how much time and effort we put into making it right. I think is one a simpler design from the last few but it still has all the personal details of my life on there and the new boost technology is really on point. 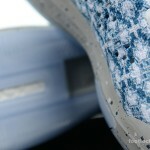 UNLOCKED: You talked a little bit about the technology, but what else about this shoe is so special to you? 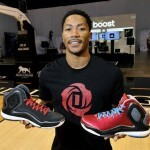 ROSE: Well, having my logo on the back is a huge honor for me. 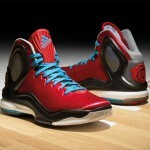 First, for adidas to come to me and ask me if I wanted to do that is crazy. Knowing the history of the brand and it being the first time they’ve ever taken the three stripes off the back is a great feeling for me. UNLOCKED: What are some of your personal goals and expectations going into this season? ROSE: I don’t like talking about my personal goals out loud because I don’t want to jinx myself, but hopefully when I achieve them everyone will see. I have high expectations for myself and as player and a businessman and I want to continue to grow as a person to help me achieve all of my goals. UNLOCKED: It has been a crazy offseason in the NBA and your team added a bunch of new players and lost some familiar faces. How do you feel about the team heading into the season and playing with your new teammates? ROSE: There will definitely be an adjustment period but we are a close knit team and still have our veteran leaders and a great coach in Thibs to lead us. I like some of the moves we made and I think we’re gonna be pretty tough to beat this year. UNLOCKED: How do you feel about being the veteran now for adidas’ young roster of athletes? ROSE: (Pauses) Man, I remember coming into the league on being on shoots with KG, Chauncey and TD and now I’m sitting here about to enter my spartyh year in the league, it’s crazy to believe. I’m excited about the young group of guards they signed, Andrew (Wiggins) and Dante (Exum). I know they’re coming behind me and if anything else they are keeping me on my feet that’s for sure (laughs). 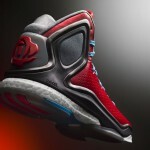 The adidas D Rose 5 will drop this October. 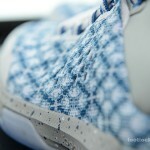 Check out some pics below and stay tuned for more details coming soon. 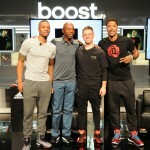 Today adidas Basketball officially announced their new Boost Basketball, and Foot Locker Unlocked was on hand for the global launch party in Las Vegas. 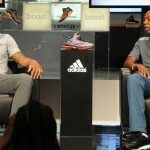 Held at the MGM Grand Arena, a select few media were given the opportunity to check out the shoes first-hand and interview some of adidas top basketball stars who’ll be rocking them on court this season. 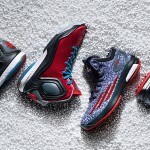 Introducing the Boost technology was Chicago Bulls star Derrick Rose, Portland Trailerblazers star Damian Lillard and adidas basketball designer Robbie Fuller. The event was MC’d by former NBA player and current ESPN analyst Greg Anthony. 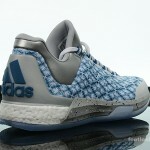 First to be introduced was Robbie Fuller, adidas Crazy Light boost basketball designer who talked a little bit about the shoe’s design and new technology. 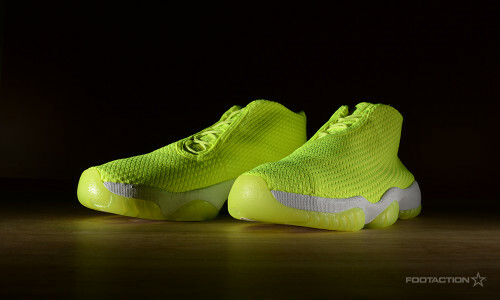 The boost foam which is featured on the Crazy Light 4 has been brought over from the running side to basketball for the first time. 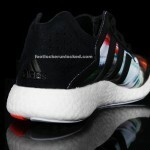 “If you’ve ever tried on the Pure Boost or Energy Boost running shoes you know how comfortable and responsive they are, and now all those benefits have been translated over to the new Crazy Light which we all know and love for its superior lightweight feel,” according to Fuller. Next up Anthony introduced Derrick Rose who came out wearing the new D Rose 5, his fifth signature shoe which will be dropping later this fall. Rose looked extremely fit and said he would be ready to take the court now if today was game 1 of the NBA season. 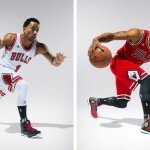 Rose seemed extremely excited to introduce his fifth signature shoe, one which he called his most “personal and energetic” shoe to-date. He said he was shocked and really excited when he first found out that this shoe will be the first ever adidas basketball shoe ever to feature a player logo in the heel. In addition, Rose said he wanted to go with a simpler version of his shoe this time around, but also wanted it to make a “big statement” and he feels they accomplished with the new heel logo and boost technology. 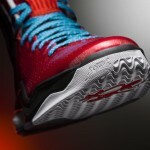 After getting a first look at the D Rose 5, we also got a chance to learn more about the Crazy Light 4, from Trailblazers star Damian Lillard. 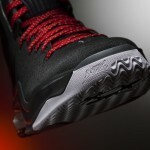 Lillard came out rocking one of his new PE’s that he’ll be rocking these on court during USA Basketball games this summer and also the first half of the basketball season. 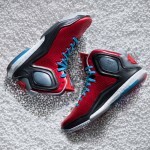 He said he absolutely loved the way this shoe felt and that it was “the most comfortable basketball shoe I’ve ever put on my feet.” In addition to the boost technology, Fuller created a brand new design for the fourth iteration of the Crazy Light. 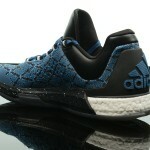 The new version features the three stripes on the forefoot as opposed to the heel and side upper. 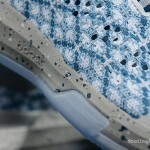 The shock web bubble pattern also gives it a more flashier look an gives it that additional element of style that was missing on some of the previous versions. 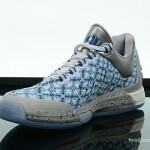 We’ll have a number of different colorways of his PE’s, the first of which will be Grey/Red/Black version he is wearing below. 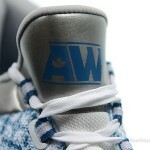 Look for these kicks to drop in early September. 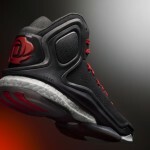 Stay tuned for Part 2 of our recap where we go one-on-one with D Rose coming soon. 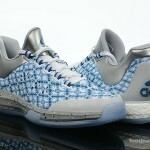 Today marks the release of one of the most stylish and tech savvy shoes to come from adidas in recent memory. 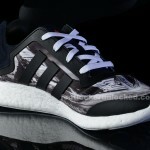 The adi Pure Boost, combines the innovative material that is adi Boost and a lifestyle look that one might not associate immediately with adidas to form a street shoe that will, without a doubt, make waves throughout the sneaker world. The combination of innovation and style is evident not only by looking at the shoe but also by knowing a little about the shoe’s origins. Birthed through a collaboration between three adidas designers – one performance running, one street wear, and one from Y-3 – the adi Pure Boost boasts a simple yet powerfully stylish silhouette. 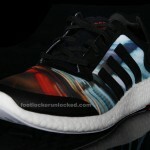 While past iterations of the Boost technology releases focus mainly on running performance, the Pure Boost’s design focuses on comfort above all else. While it’s branded a lifestyle shoe, the Pure Boost can be worn for anything from running to lounging to the office to the street. 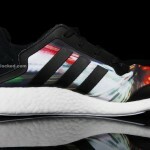 A seamless upper contributes to that comfort while the four-way stretch material used allows the shoe to expand with your foot as it sits directly on top of the Boost midsole. 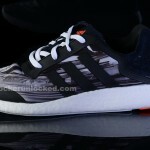 In addition to its comfort the Pure Boost is unbelievably light weighing 8.3 ounces for men and only 6.3 ounces for women. The adidas Pure Boost is available in stores and online beginning today for $ 120.